1. It was live. Previous Ruveals have had the benefit of editing and post production, a very important and clearly necessary step. There were mic issues, awkward cuts, dead air, and a lack of music and effects that emphasized how boring the show was. Live TV is tough, I understand that. However, in this case, it was entirely unnecessary. 2. The Bandersnatch Gag. There was one reason to do this live, and it was not worth the payoff. As part of the show, VH1 created a Bandersnatch-inspired segment where audience members could vote for which mini-challenge a queen would have to do after their interview. The segment got old and the execution was poor. You can’t just plug Bandersnatch into any media and expect it to work. Unrelated but here’s my “Choose your own gossip” article. 3. The Lighting. LIGHTING IS KEY. On the show, it was poor, and seemed mostly backlit. Everything appeared dark and everyone didn’t look as good as they could have. What a shame. What an easily fixable shame. 4. The Challenges. Once queens had been interviewed, they proceeded over to another room where they performed challenges in 60 seconds. It’s like “Minute to Win It”, but with a budget of $9. The production was extremely low quality, incredibly awkward, and it just felt like you were at a frat party where the beer was as underwhelming as the men. At one point, queens played flip cup and pin the tail on the donkey! WHO WROTE THIS? 5. The Interviewer. I like Adam Rippon, and I think he’s actually pretty funny. Unfortunately, interviewing drag queens live is not in his wheelhouse. While the questions that were written for him were especially uninspired, he didn’t really make an effort to improve upon them. Follow-up was minimal, even when the queens had interesting things to say, his tone was flat, and his energy was like 25% of where it needed to be. I hate to say it, but one of the reasons this was so boring was because Adam was the interviewer and he was unable to create a good back and forth with these large personalities. 7. The Chat. I know VH1 has no say over this, but the YouTube chat was awful. It was incredibly judgmental, racist, and demeaning towards the queens, especially to big queens and queens of colour. It was an embarrassing and eye-opening moment about what the current fanbase looks like. Also, one person actually posted “TRUMP MAGA” in the chat. On a video? 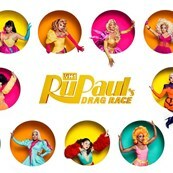 About RuPaul’s Drag Race? 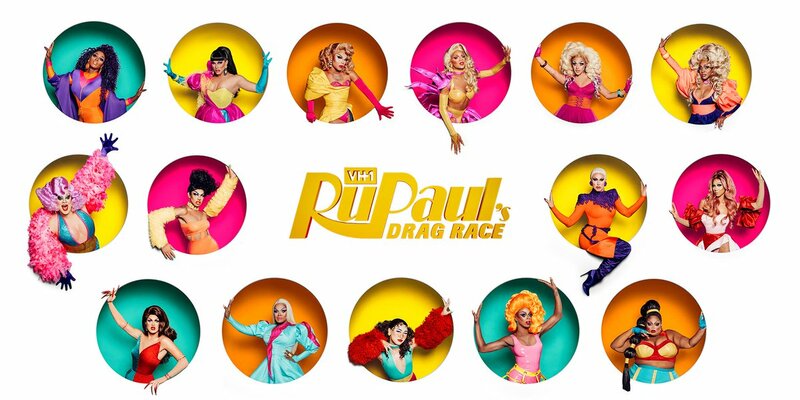 To save you from having to watch the two hours of my life I’ll never get back, here are my notes of each queen as I was watching. Not super memorable (probably the stream’s fault). I like the huge half mask thing, and I she seems like she has a lot of experience and a good personality. She and her boyfriend started a wig company, so she’s definitely winning any hair challenges. She does mention Jersey a whole lot though. SHE’S FROM TORONTO. I WILL STAN AND DIE ON THIS CANADIAN HILL. She also seems lovely and graceful. Loved the spikey outfit. I LOVE HER. She’s incredibly insightful, talking about how she uses her drag as a platform, incorporating issues about women and people of colour (to which Adam replied “werk”). She is also Monet X Change’s Drag Mother AND a Manila fan – a woman after my heart. Mercedes’s makeup was flawless, but on top of that she’s the first Muslim queen to participate in Drag Race. I’m excited to see what unique flavor she can bring to the show. I LIKE HER. It’s her ninth time auditioning, and she seems really sweet. She loves the colourful, happy aesthetic. I’m calling it: Miss Congeniality. She is Alyssa Edwards’ drag daughter and she is BEAUTIFUL. She is one of two Asian queens (YES YOU HEARD THAT RIGHT), and she even says her dress was inspired by Crazy Rich Asians, when Constance Wu walks into the wedding! She seems chill, and she even compared herself to Shea Coulee, one of my favourites. I’m excited to see how she does. I mostly just got Kentucky. I’m not sure how I feel about that outfit. I think I like the concept, but not the execution. LOVE. HER. She breathed some life into this dying Ruveal and has a ton of energy. She was also one of the funniest in the challenges, not an easy feat. FAVOURITE QUEEN FROM THE WHOLE STREAM. If Shuga cracked the door open with her energy, Silky punched it down. She was loud, hilarious, energetic, and genuine. She also called out Adam for his “mayonnaise” questions – we were all thinking it. My favourite comment in the chat was “can she be the host though.” I agree. I’m so excited for Korean queen Soju! I love that she’s a big fan of kpop (Black Pink). I don’t know much about kpop, but I hope that it brings some interesting inspirations into her looks. I love her look and feel. She’s bright, eclectic, genderbending, and she’s also funny, mostly in an understated way. She even had this wonderful joke about her laugh (dopey meets goofy meets Santa Clause meets Satan) which Adam kind of fumbled.